Lunar New Year or Tết Nguyên Đán, is Vietnam’s most significant celebration. Across Vietnam, during this time families reunite and honour their ancestors, while praying for luck, prosperity and health in the new year. The public holiday may only run for one week, but in reality, Tết celebrations last much longer. 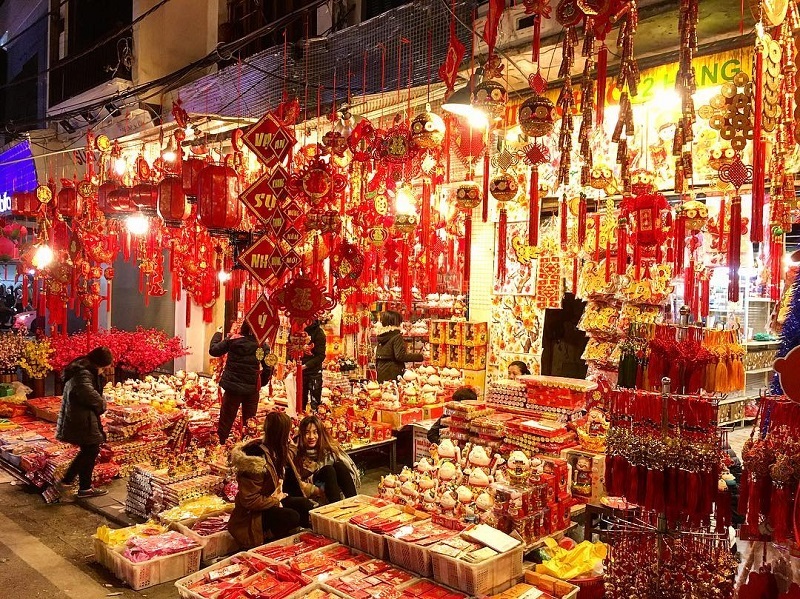 If you’re visiting Vietnam around Lunar New Year, here’s what you can expect. Tết marks the first day of the Lunar New Year, and the beginning of spring in the north of Vietnam. The holiday traces back to the early days of Vietnamese settlements in the Red River Delta, when Tết meant a new cycle of wet rice cultivation. Today, the meaning of the holiday runs much deeper than its farming roots: Vietnamese culture emphasises the importance of a fortuitous fresh start, surrounded by family and loved ones. Throughout Vietnam, preparations for Tết begin weeks in advance, as cleaning, decorating, and sprucing up is a big part of the holiday tradition. Vietnamese shop for new clothes, get haircuts, cook special dishes, buy flowers, and even wash their motorcycles. Each home and office will decorate with signs of ‘Chúc Mừng Năm Mới’, and kumquat trees or peach blossoms will be set in a place of honour. Streets burst with colour as these trees are transported on the back of motorbikes. In anticipation of the long holiday, a festive spirit takes hold of the country. In the days before Tết, markets and streets are jam-packed with shoppers. Busy housewives pick up foil, paper garlands, and auspicious red and gold decorations shaped like fish, coins, firecrackers, and blossoms. Everyone stocks up on red lì xì - lucky money envelopes - which are customarily gifted by elders to younger members of the family, or by managers to employees. Food -- especially the Tết cakes bánh chưng and bánh giầy -- is an important component of the celebrations. According to folklore, the last Hung King could not decide which of his sons would take the throne, so he held a competition to find which son could bring him the best dish in the world. One son stood out, as he presented these two savoury rice cakes representing heaven and earth. These humble dishes impressed the king who then awarded him the throne. Across Vietnam, families will sit down to a day-long feast, and present candied fruits in beautiful boxes for guests to enjoy. 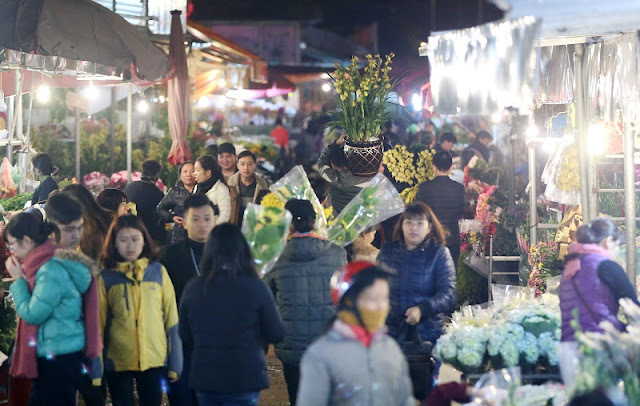 A stroll around the Quảng Bá Flower Market near West Lake is unforgettable the week before Tết. 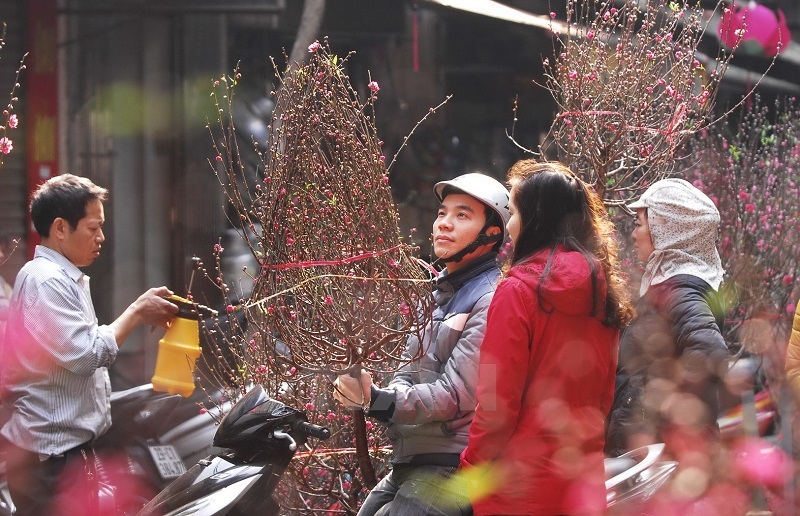 Shoppers bundled up against the chill buy the finest pink peach boughs they can afford to bring luck in the New Year. Tết Eve is best witnessed in the alleys of the Old Quarter, where hundreds of makeshift altars appear on the curbs, set with offerings of fruit and boiled chicken. 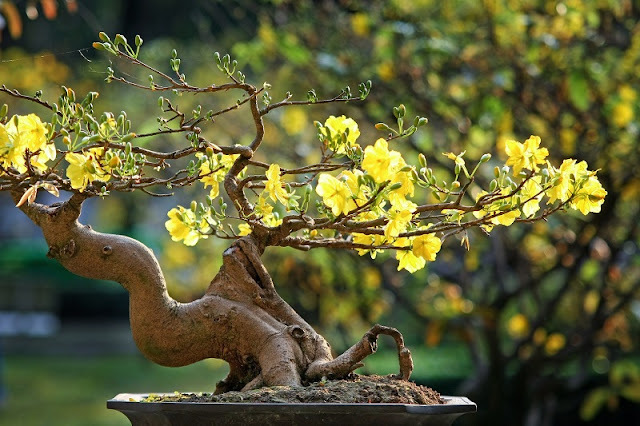 In the south, yellow apricot flowers represent the Lunar New Year. Tết in Hồ Chí Minh City is no less colourful than in the North. Nguyễn Huệ Street in District 1 hosts the country’s largest flower show. Join the throngs -- families in new clothes and young women in áo dàis wielding selfie-sticks -- in admiring the impressive floral displays. - People from all over the country will return to their hometowns for the Tết holiday, creating heavy demand for bus, train and plane tickets, as well as hotel rooms. If you must travel during this time, try to book transportation and accommodation far in advance. - With many staff gone home to their families, businesses and restaurants typically shut for at least the first few days of Tết. Expect cities to be quiet during this time, as well as limited dining and shopping options. - The first few days of Tết are a rare chance to see Vietnam’s big cities empty of noise and traffic. Take advantage of the quiet and explore by bicycle, scooter or on foot. - You may be invited into a family’s home for Tết which is a huge honour. During Tết, it’s important not to drop by any Vietnamese home without an invitation, as the first guests of the year are specially chosen to bring good luck to each household. - Warm wishes are much appreciated around and during Tết. On the first days of the new year, smile and say “Chúc Mừng Năm Mới” (Happy New Year) to everyone you see!